The Phillipsburg Free Public Library offers a variety of digital services to our cardholders, including eBooks, audiobooks, digital magazines, and Rosetta Stone! 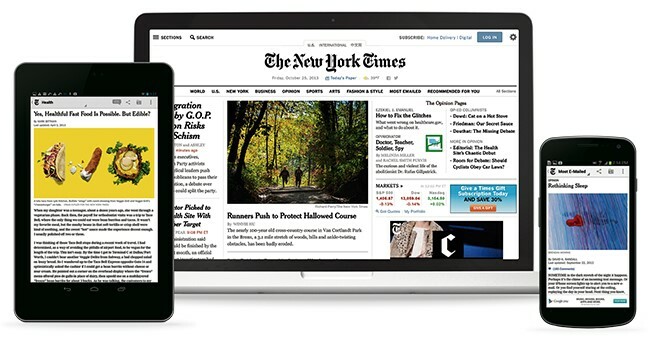 Phillipsburg Free Public Library now provides free online access to the New York Times! For access in the library – Visit NYTimes.com/register and create a free NYTimes account, or log in to your account if you already have one. For offsite access – First, visit NYTimes.com/register and create a free NYTimes account if you don’t already have one. Then, click here to log in to your patron account, then click “New York Times Online” to redeem 24 hours of full off-site access! Kanopy, whose motto is “thoughtful entertainment” offers a wide array of classic films, documentaries, children’s titles and much more. You may borrow up to four movies a month, and when you borrow a title, you have up to 72 hours to finish watching it. When your borrowing period is up, the title is automatically returned, so there is never a late fee. The Kanopy app is available for iPhone, iPad, Apple TV, Roku, Fire Tablet and Chromecast. Subscribe to digital magazines for free! With your valid Phillipsburg library card, you can access complete editions of popular magazines and read them on a computer or on a wide range of mobile devices, including the iPad, Kindle Fire and Android tablets. Click here for more info about this service! Patrons can borrow eBooks and audiobooks using the digital lending service through the cloudLibrary. Click here for more information about how to use this service! OneClickDigital offers a selection of audiobooks and classic eBooks to patrons with valid library cards. Click here to learn how to how to get started!